Yesterday evening I was stuck for something to cook for dinner. I had a lot of random stuff in the fridge (including peppers, onions, half a jar of sundried tomato pesto and some black olives which were possibly on the turn) and so I made a sort of tomato-ey gumbo with whatever I had to hand, and then my eye fell on an odd little box of artisan grain my husband had picked up on a shopping trip a few days before. I’d never used it before, but it looked intriguing. ‘How hard can it be?’ I thought. I measured out the appropriate amount, cooked it as per the instructions, and kept an eagle eye. It smelled strange, but not bad. We ate it all when it was ready, and it was flippin’ lovely – even if I do say so myself. It was only after dinner was done that I thought to put the name of the grain into Google to see what else I could do with it, and one of the first hits I got was that this grain – called freekeh – is commonly used in Syria. 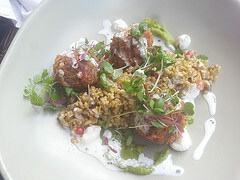 A dish made with freekeh – not, needless to say, the one I made! I wonder how commonly used it is in today’s Syria. I wonder how many families are sitting down to a meal of freekeh, lamb, cumin and coriander today, right now, in that beleaguered country. It made my meal feel strange within me; the idea that I had eaten the traditional food of a country which has been, and is being, ripped into tiny shreds, shedding its terrified people like dandelion seeds on the wind, made me upset. It brought me face to face, again, with the disgusting reality of our time, the humanitarian crisis which is spreading like an inkblot across the face of the earth. Nobody can have missed the dreadful images in the media yesterday. I don’t want to describe them, even, let alone link to an article containing them or go so far as to share them here myself. Let it be enough to say that such images, used as clickbait by magazines and newspapers, shared – perhaps in good faith, or in a well-meaning way, by people who were ‘appalled’ – should never have been made public in the way they were. Lives were lost in the most tragic way imaginable. The people were not actors in a movie; they were not posed for effect. 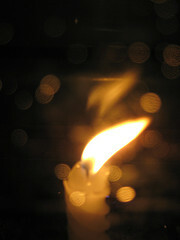 They were real people, with families and loved ones and personal histories and dreams of a better future, and they died. They died, and we used their final images to sell newspapers and drive website traffic. I am not a policy-maker nor a lawmaker nor even a person who knows, particularly, what the solution to the refugee crisis is. I know every country in Europe is not wealthy, my own included, and we all have problems of our own to deal with. Ireland has a huge homeless population, and many people who live in poverty – at least, by our own standards. We have a massive drug problem, not just confined to our cities. We aren’t good at dealing with immigrants, generally, tending to leave people who arrive here as economic migrants or refugees in ‘direct provision‘ – one step up from prison – for years on end while their cases are ‘processed’. 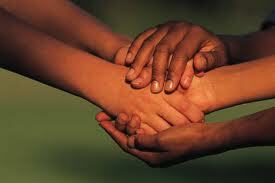 I do not know how to help the people fleeing persecution, war, terror and tyranny in Syria and elsewhere. I just know that we must do something. We must demand that our government steps up their commitment to take refugees, in far greater numbers than they’re currently promising. We must overhaul our systems. We must find space, not only to deal with the people fleeing for their lives who so desperately need our help, but also to deal with our own people who are lost in the system. I don’t accept that there is no money there to accomplish this; I don’t accept that there is no public will to make this a reality. Nobody wants to see a repeat of yesterday’s terrible news. The people of Europe, at grassroots level, are donating food and goods and money in huge amounts to support and welcome the refugees – it’s the lawmakers, and the boundary-guards, who are dragging their heels. People are not fleeing Syria because they’ve heard Europe is a gravy train. People are fleeing Syria because their own rulers are throwing them to the dogs. People are fleeing because they have no choice. Who would choose to do what they’re doing, unless there was literally no option? And what sort of people would throw up barriers at the other end, trapping those running for their lives against a wall of bureaucracy, stopping them from finding a safer place to bring their children up in? I don’t want to be part of that wall, but it can be hard to avoid feeling paralysed in the face of so much need, so much sorrow, so much desperation and anger and fear. I don’t know what to do. I just know that we can’t leave people to die. All I’ve managed to do so far is sign a petition to ask my government to step up its response. It feels like such a feeble and meaningless thing, but I honestly don’t know what other action I can take. And who am I to even have an opinion, anyway, just one tiny person in one small country on the fringes of the European continent? I’m a human being, just like every one of those refugees. That’s who. And I don’t want any more of them to die on the beaches of my continent. Not in my name. This entry was posted in Musings and tagged borders, European borders, European immigration policy, fleeing from war, freekeh, how to help those fleeing from war, humanitarian crisis, humanity, refugee crisis, Syria, war on September 3, 2015 by SJ O'Hart. I wanted to blog yesterday, but to be honest I spent the day feeling scraped out, hollow, raw. There was nothing in me worth sharing. Anything I might have written which didn’t express this reality would have been a lie, and it would have been a waste of the time of anyone who took the time to read it. So I didn’t write anything. But today the hollowness has been replaced by a deep, gnawing anger. And that I can write about. I am Caucasian. European. Irish all the way down. I don’t have any other ethnicities in my genetic makeup. This means I am freckly, pale, prone to sunburn, likely to be Vitamin D deficient, prone to depression and alcoholism, and a whole host of other drawbacks that come with being ‘pure-bred’. I can’t help this; I didn’t choose to be born to my parents, in my country, at the time I came into being. Just like everyone else in history. I have no right to claim any sort of kinship with any of the men and women who died on Wednesday in Charleston, South Carolina. I have no intention of doing so. Their struggle, and the struggle of Black people in America on a daily basis, is not mine. But I am still a human being, and just because I have no part to play in their efforts doesn’t mean I am not allowed to feel compassion for those efforts, and to feel devastated and sick at what happened in Emanuel African Methodist Episcopal Church. And I do feel devastated and sick. I also feel hopeless. I feel afraid, though I know my fear must be of a different calibre to that felt by people of colour who face discrimination every day. My fear is more for the future of the human species as a whole, not for my personal survival. I’m aware there are people for whom fear about their personal survival is a daily challenge, and I wish so much that this wasn’t true. That this atrocity happened in the same week as the tragic accident in Berkeley, California, which claimed the lives of six Irish students, is overwhelming. Such loss, and such destruction, and such sorrow, and it’s hard to see a way through. Sometimes I wish there was a way to not feel things. Just sometimes, you know? A switch you could flick or a button you could push to cut yourself off for a while, like Data’s emotion chip in ‘Star Trek’. But if we could do that, would we have the courage to turn it back on again, and let the tide of emotion flood through us once more? Or would we take refuge in the coldness of disconnected self-interest, caring about nothing but what impacts us directly? Well. I’m glad, in many ways, that I’ll never have the answer to that question, and I’m scared to think of all the people who seem to have that chip enabled all the time, the ‘I’m all right, Jack’ types who refuse to see or experience the interconnectedness of all humanity, and who have no compassion for anyone who isn’t exactly like them. Why aren’t there easy answers to the questions of how we are supposed to interact with one another? Why do our basest instincts always come to the fore? Why do we allow greed and small-mindedness and bigotry to win out over simple, generous compassion? Why do we always live down to our lowest expectations of ourselves? Will we ever change – can we? Jon Stewart says it better than I can. He says it better than most people can, I guess. This entry was posted in Musings and tagged atrocity, Berkeley, Charleston, compassion, death, Emanuel AME, humanity, racism, South Carolina, tragedy on June 19, 2015 by SJ O'Hart. What happened last week in France was horrifying. Perhaps it’s because France is part of Europe, the continent I’m proud to live in and be a citizen of, and perhaps it’s because Paris is a city I love, and perhaps it’s because my heart shattered at the thought of innocent civilians going about their daily lives who had their lives brutally ended, and perhaps it’s all of these things, but it hit me hard. And perhaps it’s because I write, too, and I take it for granted that I can express myself as I see fit, and that if someone doesn’t like what I’ve said that they’re not going to break into my life and destroy me. I know I’m a million miles away, content wise, from Charlie Hebdo, but the principle is the same. I write. They write. I express my thoughts, and so do they. I might agree that their content can be objectionable; I might not even like all of it. But it is their right to print it. You don’t wish to see? Then buy another magazine. If you don’t like my blog, you don’t have to read it. If you don’t like Charlie Hebdo or what it stands for, there are plenty of peaceful, but effective, ways you can exercise your right not to be confronted with it. France has a long history of satirical cartooning, going back to the Revolution and before. It has always been crude, focused on the body, sexualised, and darkly funny. The cartoons which sparked off last week’s dreadful events have to be seen as part of that continuum and that particularly French tradition of speaking an opinion. Opinions can be drowned out. They can be shouted over. They can be marched against. They can be argued with. They can be denounced. They can be discussed, debated, teased out, their nuances made clear. Perhaps, eventually, understanding and accord can be reached. If opinions are simply destroyed along with the lives of those who held them (not to mention the lives of those who had nothing to do with them), then all that’s left is sterility and darkness. All that’s left is despair. There can be no learning, no growth, no furthering of human culture, no development of our species, no deepening of compassion. Nobody has a right to kill another because of an opinion. Everybody has the right to disagree, and to protest. Everybody has a right to respond, and to clarify, and to engage in debate, and to try to educate. I am not trying to defend any particular stance, ideology, or opinion, but I strongly believe in the value of satire and of free speech. I also believe that with the right of free speech comes the responsibility of using that right, and I don’t believe in hate speech or publications which call for destruction or genocide or discrimination, but I accept that I live in a world where such things are possible, and I hope there will always be counter-voices to balance things out. I sympathise with those who feel offended because of something another has said or drawn or done, but I do not accept that the logical next step is to bring lives to an end. There is nothing down that road. I’m trying not to fall into despair at what we all witnessed last week, and I’m really trying to hope that intelligence, courage and humanity will win out over any further impulses to destroy. J’écris. I write. I will always write. And I will always stand with those who write, bravely and without shame. And I hope never to live through events like those of last week, ever again. This entry was posted in Musings and tagged censorship, Charlie Hebdo, compassion, France, free speech, French satirical cartooning, human rights, humanity, protest on January 12, 2015 by SJ O'Hart. Can I just say how much I giggled at this morning’s Google doodle? I might even have air-punched, just a little bit. Instead of following its own colour-coded design, this morning Google used a rainbow pattern, presumably as a comment on the controversy raging over the Sochi Winter Games and the statements made by the Russian government regarding gay people over the last few weeks. I, for one, think this is amazing. The Google doodle, that is, not the ignorant comments. Surely the spirit of the Olympic Games is one of unity, sportsmanship, peace and equality? So, what part of that means excluding gay people? I hope the Games take place without incident, without violence, without shows of hatred. I hope they highlight the ideals of fair play, equality between nations and peoples, and the unifying power of sport. I hope they show the world how great human beings can be. Panathenaic Stadium during the 1896 Olympic Games opening ceremony. and the prompt word ‘envy’, and craft a story around them. The kicker? As with every Flash! Friday challenge so far this year, the story had to be between 140 and 160 words. Easier said than done. He passed through the throng unseen, trying to understand. A huge, hard-packed racing ring led into the unknowable distance. Tiers of chattering people – even women – rose high all around. Unfamiliar flags fluttered overhead. That particular feeling – the only thing he recognised about this place – was in the air. Expectation. Competition. Conquest. But where were the offering fires? The temple to Zeus? ‘Stop!’ he instructed a passerby, but the command was ignored. Confused, he looked down at himself, oiled and ready. He was unused to being overlooked, accustomed more to greedy stares, flashing hatred, raging jealousy. He thrived upon it. It drove him to win. But where should he go? There were no slaves to direct him. He could not see the athletes’ enclosure anywhere. Then, a cheer rose from the crowd. He turned. A group of men, oddly dressed, thundered toward him. But they passed through him, scattering his shade to the gods. Of course, what has happened is that every sentence I read has something in it that needs tweaking. Just slightly, but enough to take up precious cogitatin’ space. As Captain Oates, my dear old friend, once said: I may be some time. This entry was posted in Writing News and tagged discrimination, equality, fairness, flash fiction, Flash! 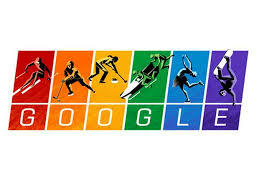 Friday, gay people, gay rights, Google, Google doodle, homophobia, humanity, microfiction, Olympic Games, Olympic Games 1896, Olympic stadium, Panathenaic Stadium, peace, Sochi Winter Games, sport on February 7, 2014 by SJ O'Hart. On this, the Monday of the first week of our new, post-Mandela world, I’m thinking about heroes and good example and living up to the expectations of those who have gone before us. Clearly, it is a week for discovering new role models, too. This morning I read, with amazement, the Wikipedia article about Rear Admiral Grace Murray Hopper, a distinguished Naval officer and computer programmer who is being commemorated in today’s Google doodle. As I finished educating myself about her life, I mentally added her to my list of ‘heroes’ – for me, people whose lives are singular or inspiring or demonstrative of the idea that doing your best with what you have is the best way to live well – and began to think about ways to fulfil my own potential, and live as fully as I can. 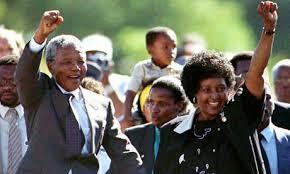 Nelson Mandela has always been a hero to me. Even as a child, I was aware of his struggle – he was still imprisoned then – and I listened to songs like ‘Lion in a Cage’ and ‘Free Nelson Mandela’ with a sense of puzzled wonder. Why couldn’t the people keeping this great man locked up understand that he should be free, I wondered? Why was his stature as a hero so clear to all of us, and so hard for his own government to understand? Then, the day of his release finally came. I watched, with millions of others, the footage of his ‘long walk to freedom’ in 1990 which, coming so close on the heels of the fall of the Berlin Wall, means that my memories of that time are filled with excitement and giddy delight. Even as a child, I understood that these were important days. I knew enough to know that I was privileged to be living through them. But heroes are complicated things. Every human being, no matter how remarkable, is still a human being – there will always be elements of each life which will fall far short of perfect. Nelson Mandela – even he! – did not shy away from armed resistance to the apartheid regime, for instance, even though he made huge efforts to ensure that no lives were lost in the process; he felt this was necessary, and even though the idea of violence makes me uncomfortable, I have no doubt but that he was right. An educated, intelligent, reasonable, gentle and humane man, he relied far more on the power of his mind and the weight of his argument to sway people to his way of thinking than he did on violence, and I respect and admire that. The fact that people all over the world, of all colours and all faiths, are united in mourning his passing shows how successful he was at appealing to our higher nature, our compassion, our humanity – and it is because he strove always for peace and equality between peoples that he is remembered so well. Unfortunately, he admitted himself that his family, particularly his children, were asked to suffer too much in the course of his political life and his decades in prison, and that is an unhappy aspect of his legacy. However, in this – as in all things – I am sure he did the best he could, and that is all we can ask of any human being. Late on Thursday evening last, my husband and I were watching something on BBC Two when a black ‘ticker-tape’ display flashed up on the bottom of our screen. ‘Breaking News on BBC One,’ it read, and so we flicked over to find out what was happening. There were dreadful storms in the UK last week, and so we feared there had been a disaster, or some sort of dreadful loss of life: instead, we were met with a shocked, slightly flustered newsreader announcing Mandela’s passing. Even though he was at an advanced age, and had been suffering with terrible health for some time, I admit I was stunned to learn he had finally succumbed to his illness. As the various TV channels caught the story and started to pay tribute to the lost hero, my stunned feeling became one of sorrow. We watched a special commemorative broadcast – no doubt, sadly, prepared months in advance, ready and waiting for the moment it would be needed – and as the full story of Mandela’s life and the truth of his long, long struggle was played out, I began to realise that this tall, thin man whose face I was so familiar with from my earliest childhood was finally gone, and how much he had done with the time allocated to him on this earth. We can’t all play pivotal roles in the overthrow of a hated and oppressive regime, and we can’t all invent a computing language while serving as a Navy officer and gaining a PhD in Mathematics. We can’t all become authorities in the field of humane handling of livestock and the rights of autistic people, as another of my heroes (Dr. Temple Grandin) has done. But each life is important and every person is equal, and none of us can make a return trip. Whatever we can do to make the fullest use of our talents, and whatever we can do to improve the lot of others, and whatever we can do to brighten our own tiny corner of the world while we’re here, we should do it. 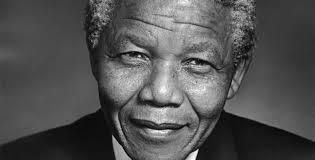 The best way to honour a fallen hero is to conduct yourself in a way that would make them proud – so, living the lessons of Mandela is a good way to pay our respects to his memory. A fundamental concern for others in our individual and community lives would go a long way in making the world the better place we so passionately dream of. Everyone can rise above their circumstances and achieve success if they are dedicated to and passionate about what they do. 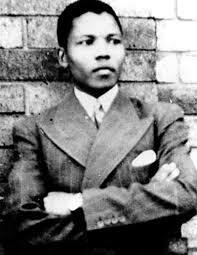 RIP Nelson Rohlilahla Mandela, 1918 – 2013. Have a happy, peaceful and productive week – and remember that all things are possible to those with determined minds and open hearts. This entry was posted in Musings and tagged compassion, family, Grace Murray Hopper, great deeds, heroes, heroic people, humanity, inspirational people, life lessons, living a full life, living up to one's potential, living well, love, Nelson Mandela, society, Temple Grandin on December 9, 2013 by SJ O'Hart. I’m not sure why I get so emotional around this time of year. The closer it gets to Armistice Day, the more my heartstrings swell at images and footage of people all over the world paying their respects to their war dead, and remembering their own experiences of war. Clearly (although I’m old) I wasn’t around during the war and Ireland was (notionally) neutral during WWII, so I shouldn’t have a huge connection to any sort of commemoration service. I watched a special programme aired by the BBC over the weekend in which a man who is now eighty-eight years old returned to the beaches of Normandy where, as an eighteen-year-old, he had landed with his compatriots in an attempt to liberate German-occupied France. He described his journey toward the beach, and how the fear of what awaited them was almost outweighed by the seasickness caused by the rough waters; he relived the feeling of the flat-bottomed vessel making landfall and the knowledge that nothing but his own speed and agility would save him as he raced up the beach toward the German lines, with bullets zipping – like ‘a load of birds singing’ – past his head. He recalled picking up the bodies of his fallen comrades once the battle was over, boys of seventeen and eighteen years of age. ‘They never had a life,’ he said, gazing around the beach, and he wept, remembering his friends, boys he had trained and fought and laughed with, all of whom gave their lives in order that future generations might be free. I wept too, because there was something so deeply moving about a man of such age and experience demonstrating how the pain of war never truly leaves you, and how the memories of what you experience during a time like that are always there, just beneath the surface. It also made me think about the terrible loss of life, and the unimaginable sacrifice offered up by so many hundreds of thousands, without which none of us would be living the life we have. 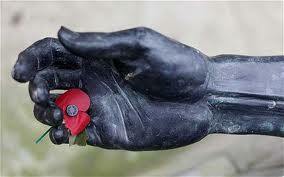 It’s such an easy thing to forget, the suffering of generations gone before us. I often wonder whether the world we have created is something that a fallen soldier from the Great War or the Second World War would be proud of. ‘Yes – this was worth dying for. This world is the perfect Utopia we dreamt of as we crawled through the muck of the trenches or fought hand to hand in the villages of France.’ Is this what a soldier would say if it was possible to bring him back for long enough to take a look around? I’m not so sure. I wish there was no need for war, and I certainly wish humanity would stop fighting and killing one another over things like natural resources and money. Fighting for freedom and liberty, the right to live without the burden of tyranny, fighting to save your country from the oppression of an aggressor – that, I can do my best to understand. Without wishing to malign any country’s serving military, I nevertheless have to say that I think some of the wars being fought in our modern world are a lot harder to comprehend. Then, the average soldier has very little to do with the causes behind a war – he or she simply does their duty, and to the best of their ability. Having said that, any man or woman who gives their all in the service of their country deserves to be respected and remembered, and perhaps it’s my innate pacifism that makes me so upset and sorrowful each Remembrance Day. My thoughts are also with all those thousands of people killed, injured and left destitute by Typhoon Haiyan in the Philippines. It makes me very sad, and angry, that it’s almost always the people who have the least who suffer the most during natural disasters, and I can’t help but think that climate change – which is, almost always, nothing to do with the people who suffer as a result of it – has a role to play in the terrible weather events of the last few years. All in all, it’s a time for reflection and togetherness, and an opportunity to honour the memory of the war dead – who fought for what we now have – by helping one another, and doing our best to create a world they would be proud of. Try to spread a little kindness today, in whatever way you can. This entry was posted in Musings and tagged Armistice Day, climate change, creating a world to be proud of, death, death toll, destruction, family, humanity, humankind, love, marriage, modern world, modernity, pacifism, peace, Philippines, poppy, remembering the war dead, Remembrance Sunday, The Great War, togetherness, Typhoon Haiyan, war, World War II, WWI, WWII on November 12, 2013 by SJ O'Hart. I’m not sure whether the day achieved its desired effect, or whether it will make any difference to the lives of the targeted women – or, indeed, women on social media in general. All I know is, it has certainly generated a lot of news, and a lot of comment, which is probably a good thing. For me, personally, it demonstrated how difficult it is to make a stand on an issue which will suit everyone’s point of view, and which has any hope of gaining a wide base of support. I did send one Tweet yesterday, which I’d sent before I remembered about Twitter Silence; I hadn’t specifically pledged to take part, but I did think it was a good idea. I thought I might take part by default, by just ‘observing’ rather than actually making a conscious decision not to Tweet for a particular reason. During my observation, I was surprised to see how many people felt that the idea of boycotting Twitter for a day, taking part in a ‘silencing’, was the worst possible way to make a stand against abuse and bullying online. ‘Why would we silence ourselves,’ they argued, ‘when what these bullies want to do is silence us?’ As many women as took part in Twitter Silence also took part in ‘No Silence’, whereupon they went about their normal business on Twitter and made no attempt to curb their normal usage of the site. I can see their point of view, too. 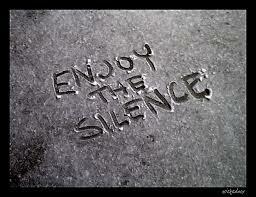 I think there’s a huge difference in ‘being silenced’, and ‘choosing to remain silent,’ though. I thought the idea behind ‘Twitter Silence’ was a good one, a principled and dignified stand against a tide of hatred that shouldn’t even be a part of public discourse in a civilised society. The women taking part weren’t ‘being’ silenced against their will; they were choosing to remove themselves from a forum for discussion where they felt their voices were being crowded out and ignored, and where their contributions were seen as meaningless merely because they are women. So, I had no problem with the idea of Twitter Silence itself – passive and peaceful resistance can often be a very effective way of getting your point across – but I respect the choices made on both sides, either to take part or not take part. But the question remains: Why does this sort of thing even go on in the first place? It terrifies me that women in the public eye can expect such vicious threats and disgusting attacks on their personal appearance, their safety and that of their families, simply by existing, and having the temerity to hold and express opinions. It terrifies me, too, that people feel they can treat one another so viciously on the internet, when – perhaps – they wouldn’t be quite so vitriolic if placed in a face-to-face situation. What makes communicating with someone on the web so different from having a telephone conversation, or a discussion in person? Why is it so easy for us to forget that the people with whom we communicate on the internet are people, plain and simple, deserving of respect and consideration? Could it possibly be because (and this is the truly horrifying thing about all this) treating others with respect and consideration is now passé, something which isn’t done any longer in this new world of ours? I think the bullying mindset – I refuse to use the word ‘troll’, as some online bullies do, almost like it’s a badge of honour or something to be aspired to – has always been there. If a person who is inclined toward hatefulness thinks they can get away with harassment and bullying because they’re doing it anonymously, chances are high that’s exactly what they’ll do. ‘Poison-pen’ letters are nothing new! Sometimes, though, it amazes me how short-sighted people can be, or how completely incapable of seeing another person’s point of view they can be. I, personally, don’t see the point in engaging in behaviour designed to destroy another person, to intimidate or upset them, purely because you don’t agree with what they have to say or you don’t believe they should have a voice because they are female/differently abled/of a certain ethnicity or sexuality/any other completely meaningless distinction. I do see the point in engaging in protests designed to make political points, draw attention to important issues, and effect change, and I believe the internet can be the best tool we have to achieve aims like this, but I just wish it could be done in a spirit of mutual respect. If we turn the greatest invention of the modern age into a place where all we do is spit hate at one another behind a veil of anonymity, what does that say about us? And how unutterably sad would that be? Welcome to a new week. Let’s hope it’s the start of a new era, too. This entry was posted in Musings and tagged anonymity, anti-feminist, anti-woman, bullying, consideration, fear, feminism, harassment, humanity, kindness, online anonymity, online behaviour, online bullying, online hostility, respect, social networking, threatening behaviour, trolling, trolls, Twitter, Twitter Silence, twittersilence on August 5, 2013 by SJ O'Hart.